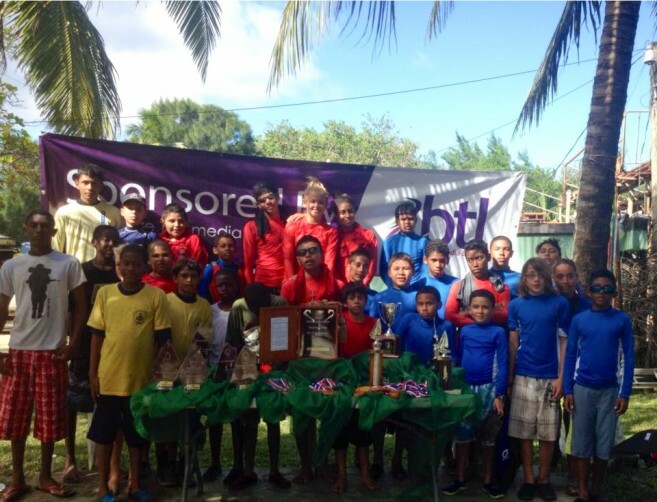 The San Pedro Junior Sailing Club (SPJSC) made their mark at the combined Bird’s Isle and National Championship Regatta (BIZ-13) in Belize City. San Pedro’s Jerdon Anderson took first place out of 32 sailors in the Bird’s Isle Regatta. The two day event was held on Saturday, January 4th and Sunday, January 5th, and was the final two races in a series of seven regattas scheduled for 2013 (the regatta was originally scheduled for December but was postponed due to weather conditions). The regattas were solely Optimist class. Only sailors who had top ranking in the prior five regattas of the season qualified for the BIZ-13, while all remaining sailors participated in the Bird’s Isle Regatta. The National Championship Regatta determines the selections to the Optimist North American Championship scheduled for July 2014 in Puerto Vallarta, Mexico. Seven young sailors represented San Pedro at Bird’s Isle and BIZ-13, with six participants placing in the top ten of the Bird’s Isle Regatta. The race saw the best of the best sailors in Belize. 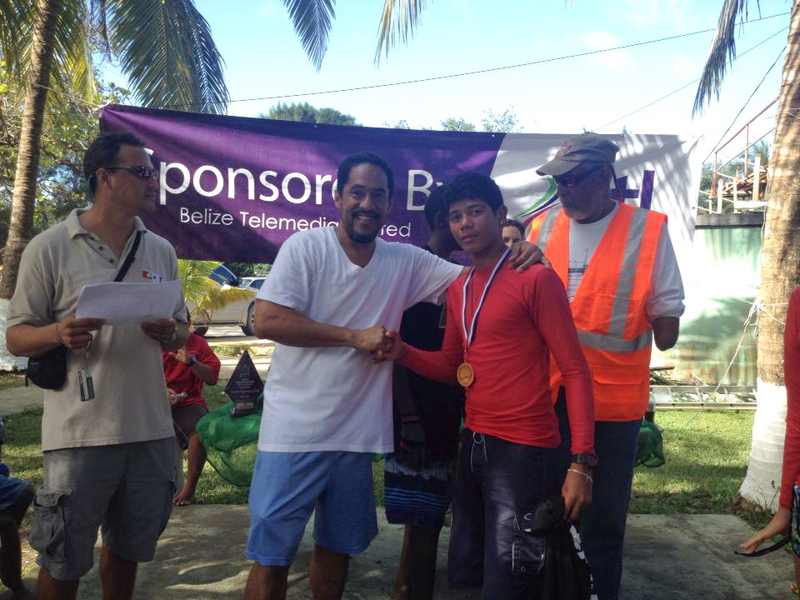 Sailing clubs participating included SPJSC, Sea Scouts, Belize City Sailing Club (BzC), Placencia Sailing Club (PSC) and Corozal Bay Sailing Club (CBSC). The regattas consisted of five races, with the sailors scoring the least points ranking on top. In the end it was Jerdon Anderson from SPJSC who took the coveted first place trophy in the Bird’s Isle Regatta. In second place was youth sailing veteran, Trent Hardwick from Sea Scouts. Taking third place was another member of the SPJSC, Kevin Vasquez. Other top ten sailors from the Bird’s Isle Regatta included: Davin Puc (SPJSC) in 4th, Christian Trejo (SPJSC) in 5th, Blanca Vasquez (SPJSC) in 6th, Antonio Ricardez Jr (BzC) in 7th, Christopher Young (CBSC) in 8th, Faith Noel (SPJSC) in 9th and Nashira Ricardez (BzC) in 10th. 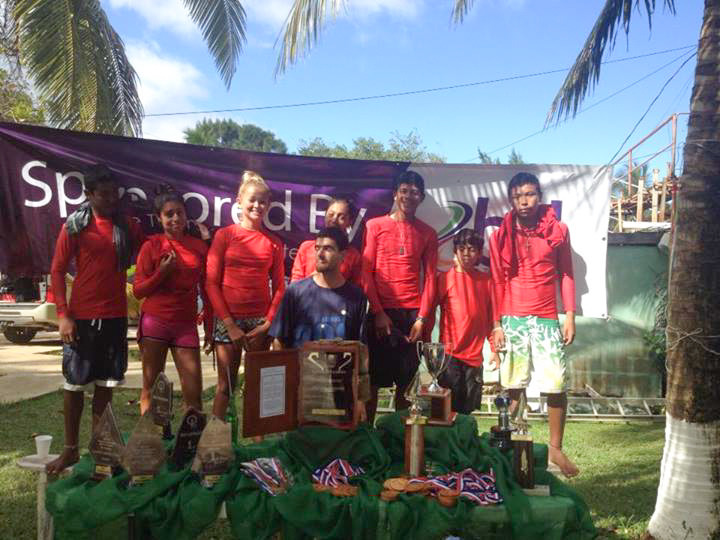 Trophies were also awarded to Jerdon Anderson for first male finisher in the Bird’s Isle Regatta, and Blanca Vasquez for first female finisher. In the BIZ-13 first place went to Trent Hardwick. In second place was Antonio Ricardez Jr, while third place went to Christopher Young. Hardwick also received the Denys Bradley Cup- Perpetual Trophy. The Best Optimist of the Year Trophy went to Ricardez. Second Best Optimist of the Year Trophy went to Carlos Villatoro (PSC), while Hardwick received the Third Best Optimist of the Year Trophy. The San Pedro Sun congratulates all sailors on an excellent sailing season! Keep up the hard work!